Be a Good Dog. Protect Your Home. Be Loyal To Those Who Are True. These are the words of the Code of Man. Dogs have inherited the world, building the kingdom of Pugmire thousands of years after the Ages of Man. These dogs have been changed to use tools and language, and they (along with other races of uplifted animals) seek to rediscover the world they’ve inherited. Some dogs use the leftover technology of humanity, but they believe it all to be magic handed to them by their dead gods. Others seek to create an ideal civilization, using a Code of Man compiled from ancient, fragmentary lore. The world is dangerous and mysterious, but courageous and loyal dogs will persevere. 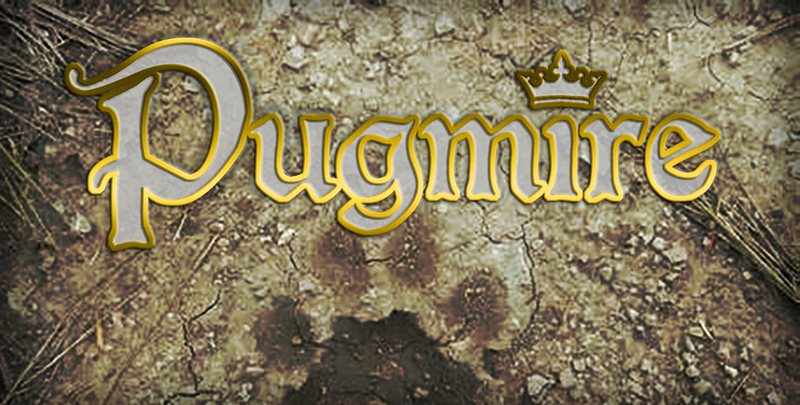 Pugmire is a light-hearted and family-friendly fantasy world. It’s one of the first of Onyx Path’s creator-owned games, produced in a partnership with Eddy Webb and Pugsteady. Combining the ideas, passion, and creativity of experienced designers with decades of experience in producing quality roleplaying game products, these creator-owned games push the boundaries of the “Onyx Path brand” in new and diverse directions. If this sounds interesting to you, you can head over to our DriveThruRPG storefront and take a look at the Pugmire Core Rulebook, or you or your local game store can order it from Studio 2 or Indie Press Revolution! Pugmire merchandise is available via our RedBubble store.